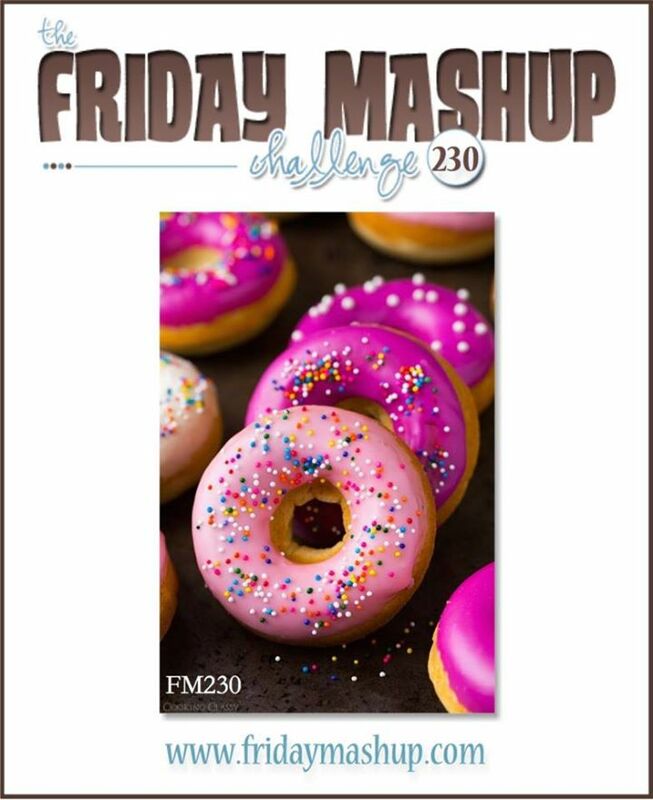 This week at The Friday Mashup we're all about donuts/baked good along with a friendship theme. Perfect for this time of year when the weather cools and folks are baking and handing out yummy gifts to family and friends. 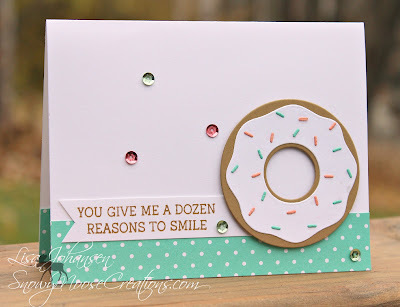 I didn't have any stamp set that really fit the baked good theme so of course I just had to buy one ;) I ended up getting the set Donuts and Sprinkles from My Favorite Things along with the coordinating die. 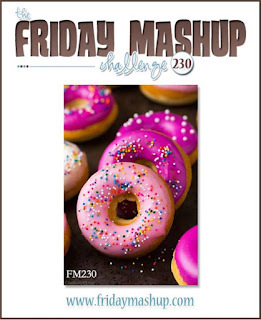 I used the dies to cut a donut shape from Baked Brown Sugar an then used Whisper White to create my icing. Using the sprinkles die I cut out sprinkles in Crisp Cantaloupe and Coastal Cabana. I don't know about you but donuts with sprinkles on them are my favorite kind. I always make sure to grab a bunch whenever I bring home donuts for my family! I used Whisper White to create my card base and put a strip of Coastal Cabana across the bottom of the card. Using Baked Brown Sugar I stamped my sentiment on Whisper White and created a banner. After adhering the banner across the top of the strip of DSP I popped up my donut with dimensionals on the right side of the card. To finish it off I added sequins across the card front. You card is so sweet and cute. I really do need to use the the Coastal Cabana. I'm excited to join the team and design with you and the other ladies.